As a parent, you’re doing your job and making sure your kid gets the Center for Disease Control’s full recommended vaccination schedule on time. The problem? Even though immunizations save lives, shots can be scary! By following these five steps, you can make sure your child’s vaccination experience is as smooth as possible. 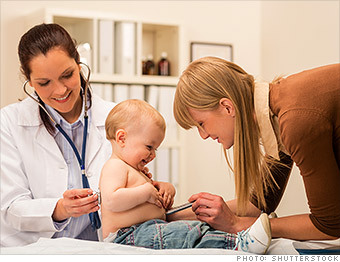 There are a ton of resource that explain immunizations in ways kids will understand. We love this animated video that explains how vaccinations work. For younger kids, Every Child By Two has coloring book on its website. These materials will help kids understand why the shots are important, while connecting vaccines with fun activities and colorful characters. It might seem smart to warn kids that they have a shot coming up, but that will just stress them out more. If they know they have a doctors appointment, but don’t ask about shots, there’s no need for you to bring it up. If they ask, be honest, but vague: if you don’t know, say you don’t know. If the answer is yes, go on to step three. Hopefully, your kids didn’t find out about the shot until the appointment. Either way, it’s important to tell them the truth about the doses. Tell them the shot will hurt, but just for a little bit, and that it’s to protect them. Remind them of the videos and coloring books. Tell them this is happening because you love them, not as a punishment. The shots they’ll get will help make them strong against diseases — like a super power! While the shot is being administered, give your kids something else to focus on. Hold their hand, or give them a new toy to play with. For older kids, you can tell them to imagine something fun (like a birthday party or playing a favorite game). If possible, play their favorite cartoon (on a TV, phone, or tablet) while the shot is being administered. It’s important to remember that, no matter what, your child might be scared of the shots — it’s only natural. We know it can be hard to see your child cry, but it’s your job to say calm as you getting emotional will only escalate the situation. After you’ve prepared the child and distracted them, it’s time to let the medical staff do their jobs. Be ready with a smiling face when it’s done, and know that you’re doing what’s best for your child. As parents, it’s tempting to space out your children’s shots—after all, telling kids they have to receive four shots in one appointment sounds awfully intimidating. But it’s essential that you stick to the CDC schedule: It’s designed to offer your children the most protection possible. Plus, research shows that children experience the same amount of stress regardless of how many shots they’re receiving. In other words, one shot is every bit as scary as four; you might as well take the safest and most effective route. Do you have any tips or tricks you use to help make getting shots easier for your child? Let us know in the comments! As a manager or business owner, you have a lot to take care of. Quarterly reviews? Check. Employee of the month? Chosen. Vaccines? Didn’t think you had to worry about that? It’s vital that everyone sticks to the CDC’s recommended vaccination schedule, and you have a unique chance to make it easy and affordable for your employees to be up to date. Here are three concrete steps you can take to make your workplace as vaccine friendly as you are. Putting information in front of your employees is one of the simplest and most valuable ways you can help the cause. This CDC handout includes a quiz that reveals what vaccines someone might need; encourage employees to use it to start a conversation with a healthcare professional. You can also syndicate the CDC’s adult immunization schedule on your website—it’ll appear under the banner. The schedule will automatically update when the CDC changes; employees and customers will always see the latest info. Take a look at your employee insurance plan. Does it cover vaccines? Which ones? Are there copays? Consider upgrading to a plan that fully covers immunizations. You’ll cover your losses because your employees will take fewer sick days. If you choose not to update, make sure your employees know about the gap in coverage. You should also point them to affordable vaccination options—like pharmacies and clinics—in your community. Don’t Forget the Flu Shot! The influenza vaccine is one of the CDC’s least adhered to recommendations, and you’re in a prime position to change that. Make sure employees know what the options are for their annual dose: doctor’s offices offer them, pharmacies and clinics are great places to get the dose too. Allowing employees to leave work to get the shot is a great way to increase coverage. Even better? Host a flu shot clinic on site. It’ll actually save you money, as a dose at a clinic is cheaper than the doctor’s office, and it serves up maximum convenience to your employees. Call your local pharmacy to get more information about hosting a flu shot clinic. Planning to skip your flu shot? The CDC recommends everyone six months or older get vaccinated at some point during flu season, yet only 42.2 percent of adults received their flu vaccination during the 2014-2015 season. Why? We can think of at least seven common excuses—and bust them all. Well, there’s a first time for everything. Plus, flu shots protect other people, too. You could carry the virus without having symptoms and pass it on to someone else. If that person’s a young child or older adult, they could be in big trouble: both groups are at a higher risk for flu complications than the general population. So if you don’t do it for you, do it for grandma or your best friend’s new baby. Yes, the influenza vaccine is made using an egg-based manufacturing process that has been in existence for more than 70 years. However, new research indicates that it is safe for most people with egg allergies to receive the shot (though a physician should be present when you get it). There are also new versions of the shot that use animal cells rather than eggs, removing the risk entirely. Because the flu virus mutated early in the season, the 2014 flu shot had just a 14 percent effectiveness rate. 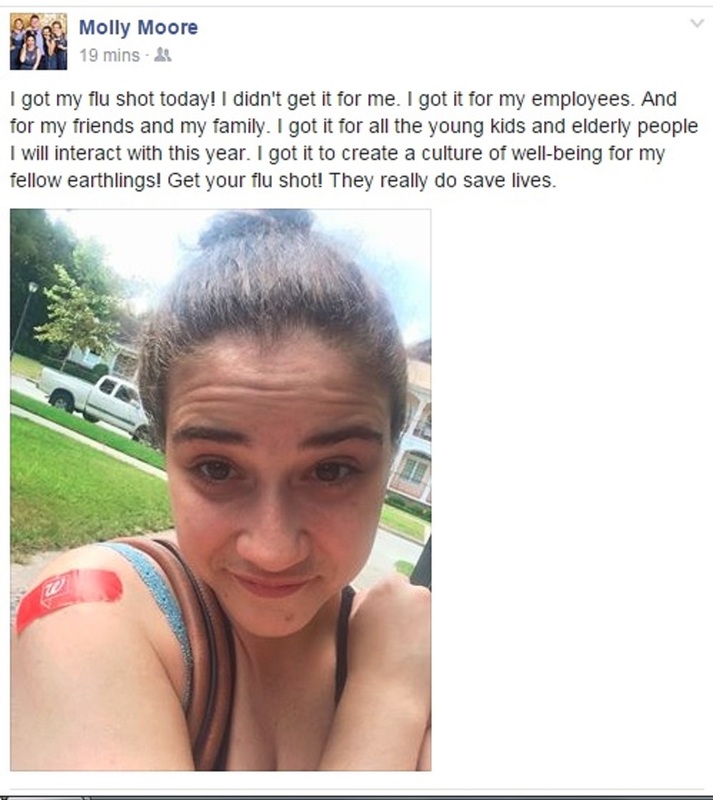 That has a lot of people saying the flu shot isn’t worth the trouble. But the shot is 50-60 percent effective most years, and reducing your risk of severe symptoms by more than half is nothing to scoff at. Plus, even when the vaccine doesn’t protect you fully, it can make symptoms less severe and increase herd immunity. “I Got it Last Year! Influenza is constantly mutating, and the shot is adjusted every year to protect against new strains of the virus. Plus, your body’s response to immunization lessens as time goes on. Therefore, an annual shot is essential. Although pregnant women shouldn’t get their dose via the mist or spray, the inactivated flu shot is perfectly safe. Also, pregnant women are at a greater risk for complications from the flu, as are their unborn child. The dose is vital to protecting you and your baby. Flu season starts in early October and usually peaks in January; because the vaccine takes two weeks to become fully effective it’s best to get the dose sooner rather than later. But outbreaks can happen as late as May, so missing your yearly dose early on is no reason to skip. Some protection is better than none. If needles give you the creeps, you still have two options. The intradermal flu shot is injected into the skin; though it does have a needle, it’s much smaller than most vaccines—and it’s safe for anyone 18 to 64 years old. Still too much? The nasal spray vaccine has no needles at all, and it’s safe for anyone 2 to 49 years old. Texas received some startling news last month. Vaccination rates among Texas children aged 19 to 35 months old fell by an alarming 8.5 percent in 2014. This drop in adherence rates is not only concerning to pediatricians such as myself, but should concern every Texas resident. This is a serious wake-up call as these under-protected toddlers head off to kindergarten in the next two years. The data surfaced in the 2014 National Immunization Survey, the Center for Disease Control’s annual assessment of immunization rates across the country. 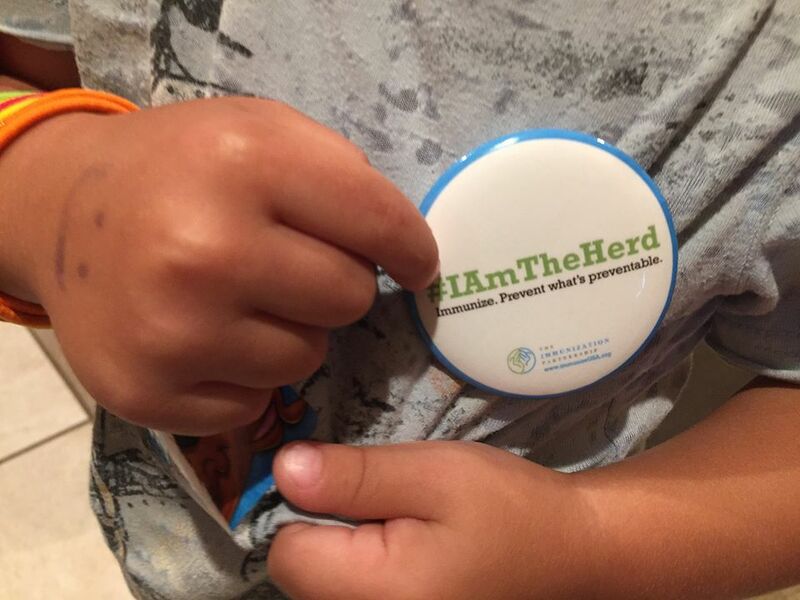 In 2013, 72.5 percent of children 19 to 35 months old had received their required vaccinations on time; in 2014, only 64 percent of children the same age had adhered to the CDC’s required dosage. Rates vary by region, but have fallen across the board: Houston adherence sat at 70.4 percent, compared to 77.8 percent in 2013; and in Bexar County, rates fell from 70.6 to 66.4 percent. What does this mean for Texas? It’s not good news, if outbreaks nationwide are any indication. The measles outbreak earlier this year at Disneyland infected 117 people. And tragically, in July the U.S. saw its first confirmed measles death since 2003, when a young Washington woman died of measles-triggered pneumonia. Physicians across Texas were on alert. We need to eliminate gaps in our vaccine delivery system, ensure that parents and guardians are well-informed about vaccines, and make known the importance of adhering to the CDC’s recommended vaccination schedule. Missed opportunities due to inconsistent utilization of immunization information technology, such as reminder recall systems, contributes to decreased immunization rates. Low Hepatitis A rates are likely pulling down the overall numbers—the vaccine requires two doses, six months apart, making it easy to miss subsequent appointments. It is everyone’s responsibility—me, my colleagues, our patients’—to make sure these rates don’t continue to decline. We must better explain to parents how the vaccine schedule is structured and why it is important to keep all clinic appointments.We can help parents by following up with appointments and remind to stay on schedule‚especially for multi-dose treatments. It’s not only critically important to start the vaccine series but also to finish the series on time. A child is not fully protected against these deadly diseases until the series is complete. The stakes are getting higher; lower childhood immunization rates coupled with disease resurgence leaves Texas vulnerable. We must work diligently together to protect Texas from significant consequences to the state’s public health.